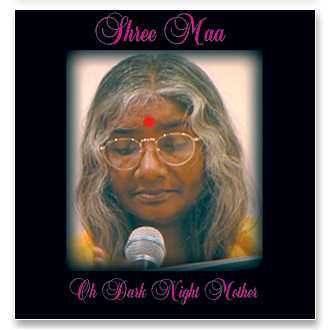 “Oh Dark Night Mother” presents devotional songs in English. Some are translated from Bengali, and some are written by Shree Maa herself. They are all sung with the feeling and gentleness we have come to expect from Shree Maa and Swamiji. This CD has a magical way of melting my worries away. I feel a deep sense of peace in my mind, and my heart softens and my whole body seems to lighten. What a blessing to have this CD, thank you Shree Maa.